Happy 4th of July! 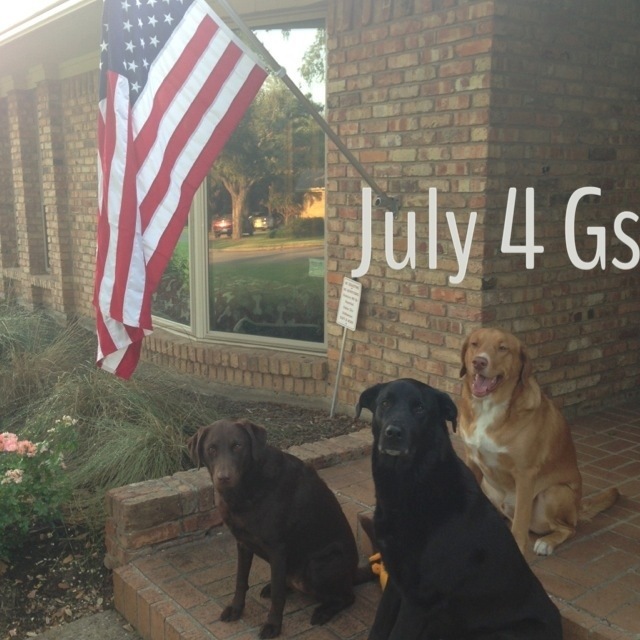 It’s America’s Birthday and the Gs started it out with a photo op. And a nice walk, although the normal Texas temperatures are creeping back up. Poor Gs. They are so exhausted. It’s hard work having humans around 24-7. Guinness only likes it because walks are longer on week days. Godiva is enjoying more outside time — sleeping in the sun is one of her favorite things. 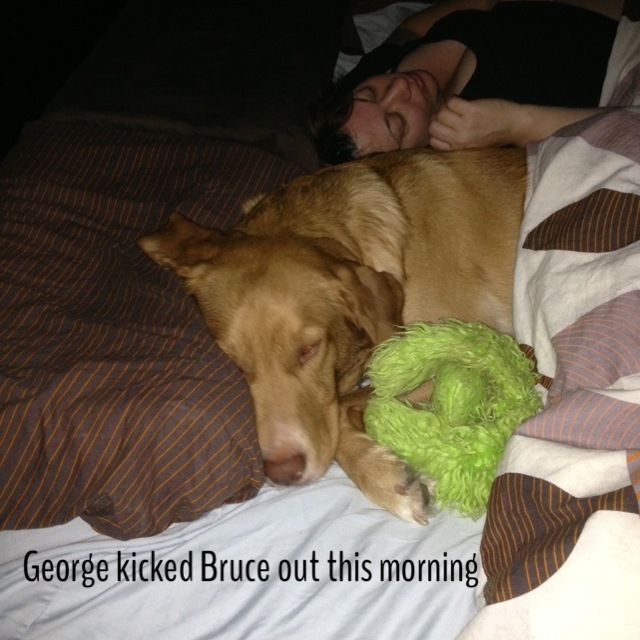 And then there’s George. July 4 is the reason we have George. The theory of the rescue group that saved him is fireworks or gunshots (yes, people shoot off guns on July 4 in Texas) caused him to get spooked and try to jump a chain link fence. He caught his leg on it and opened it knee to groin. 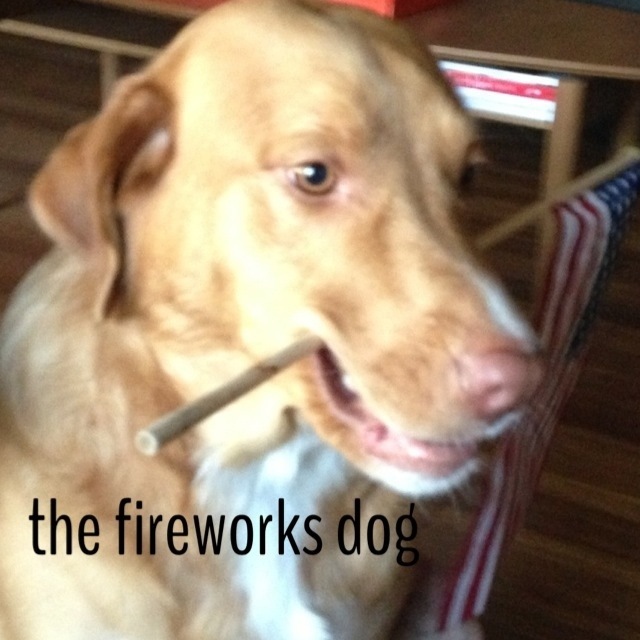 And so he has been dubbed a fireworks dog. The tv is on, we’re watching Independence Day celebrations from Philadelphia (good music), and none of us can hear fireworks, gunshots or other loud noises like several neighbors’ parties. Replacement windows are great for 1960s houses and not just for energy consumption! The humans in the house had a good day of organization and getting stuff done. We decided that we’d do a major reorg of our kitchen during this break so we finally tackled it. Looks good and now that we have the cabinets in the dining room, we could put lots of stuff away in a better way. Tomorrow we’ll be doing the full gray wall paint job in the office including texturing the walls where the wainscoting once was. Wish us luck! 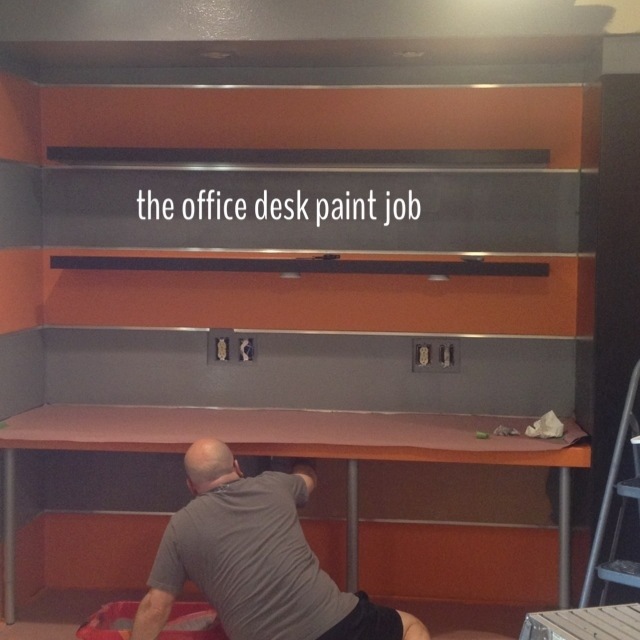 This entry was posted in So and tagged DIY, George, Julie Petroski, July 4, stay-cation. Bookmark the permalink.